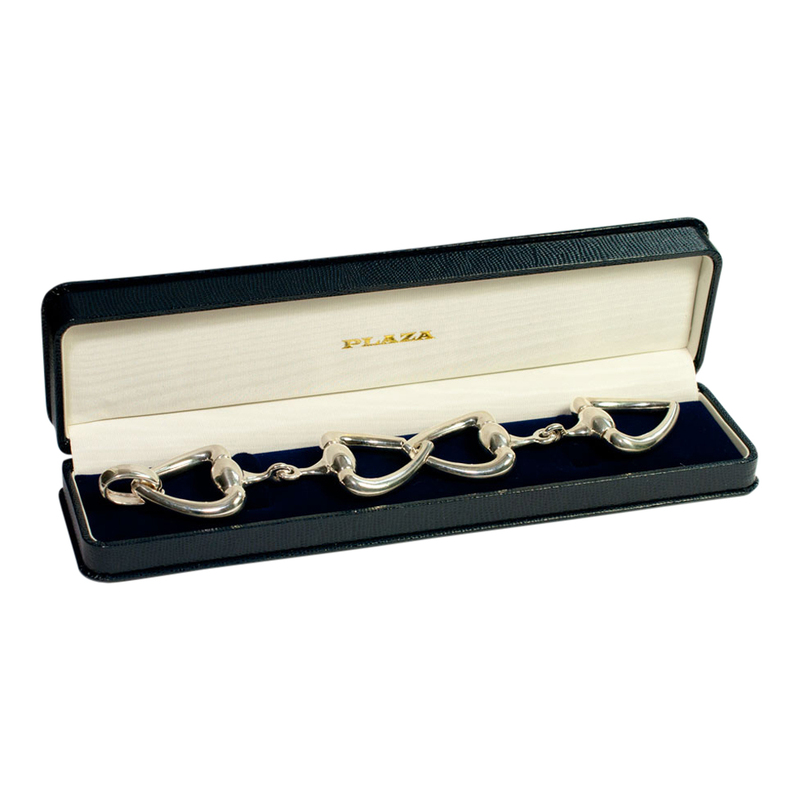 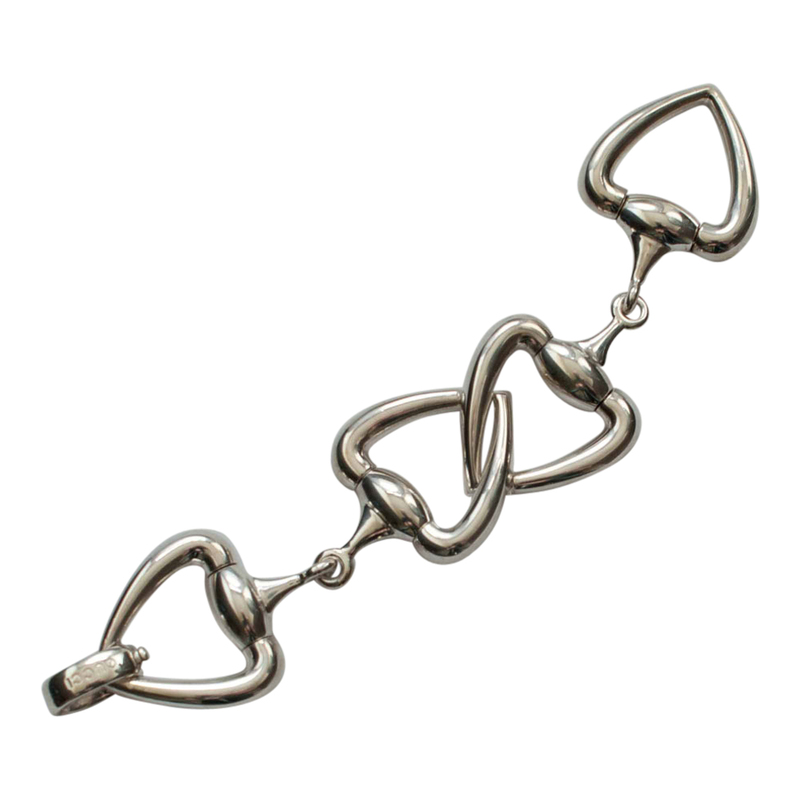 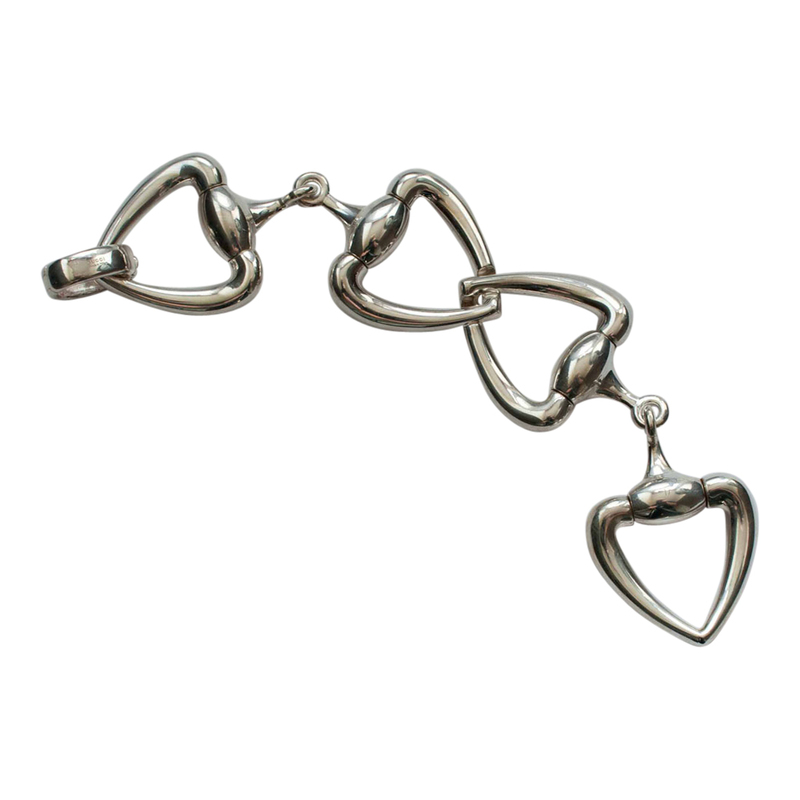 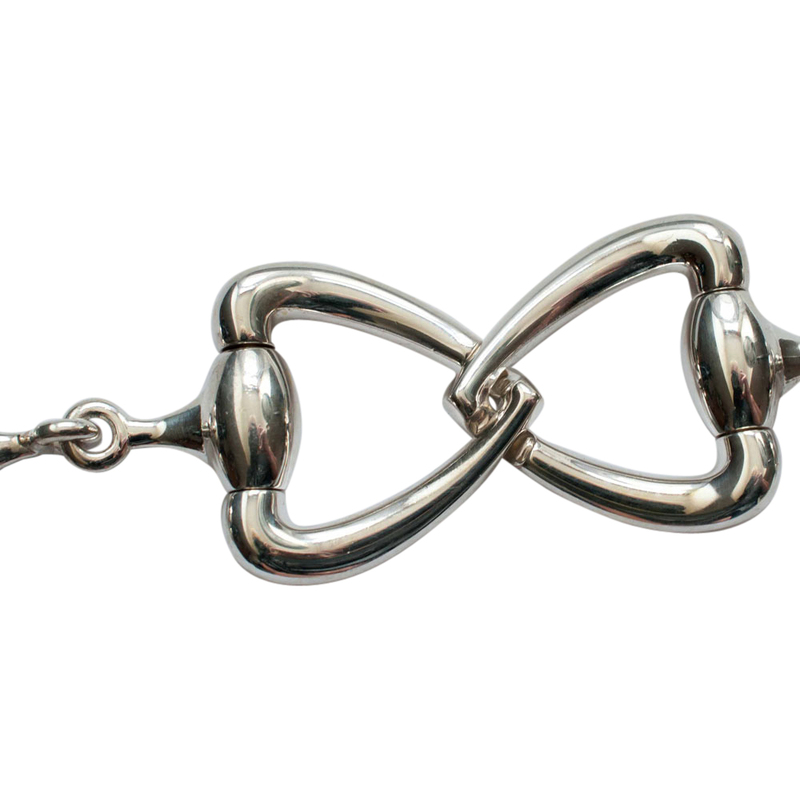 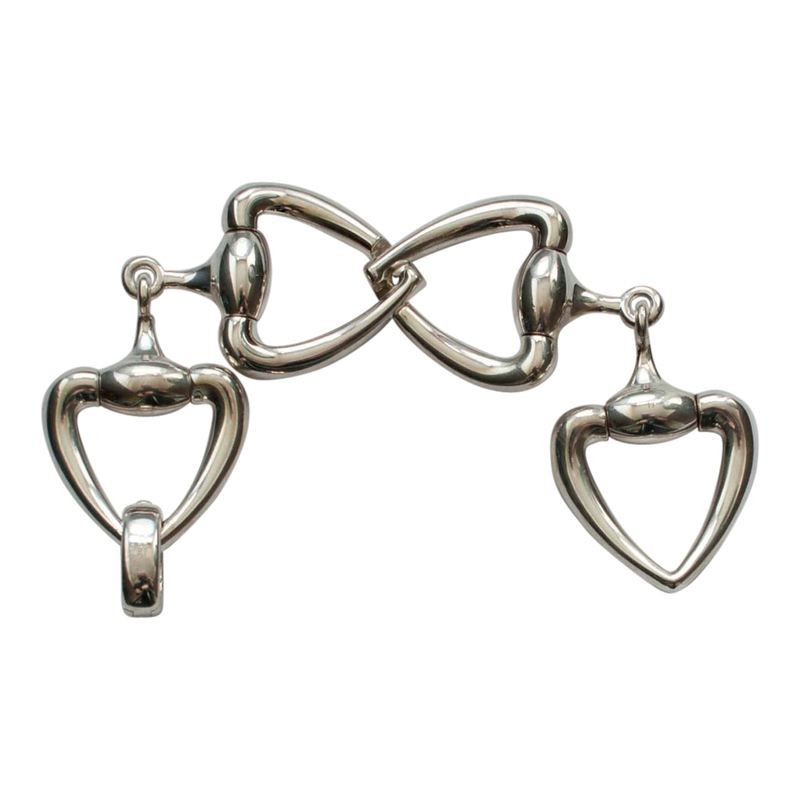 Heavy Gucci Sterling Silver horse bit bracelet; this is the large model weighing a mighty 127.47gms. 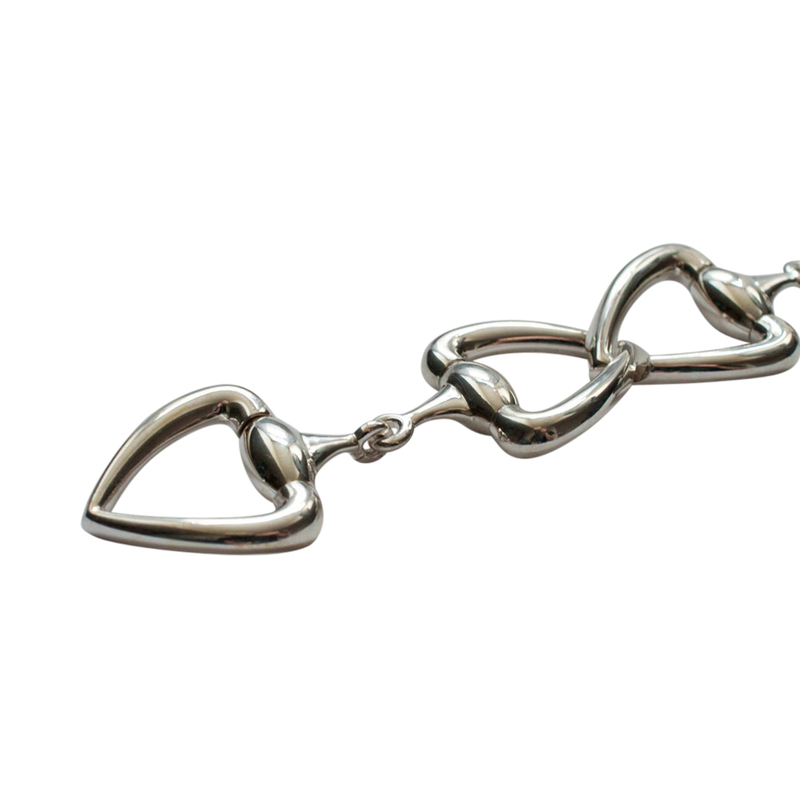 It is 19cms long x 3.5cms wide. 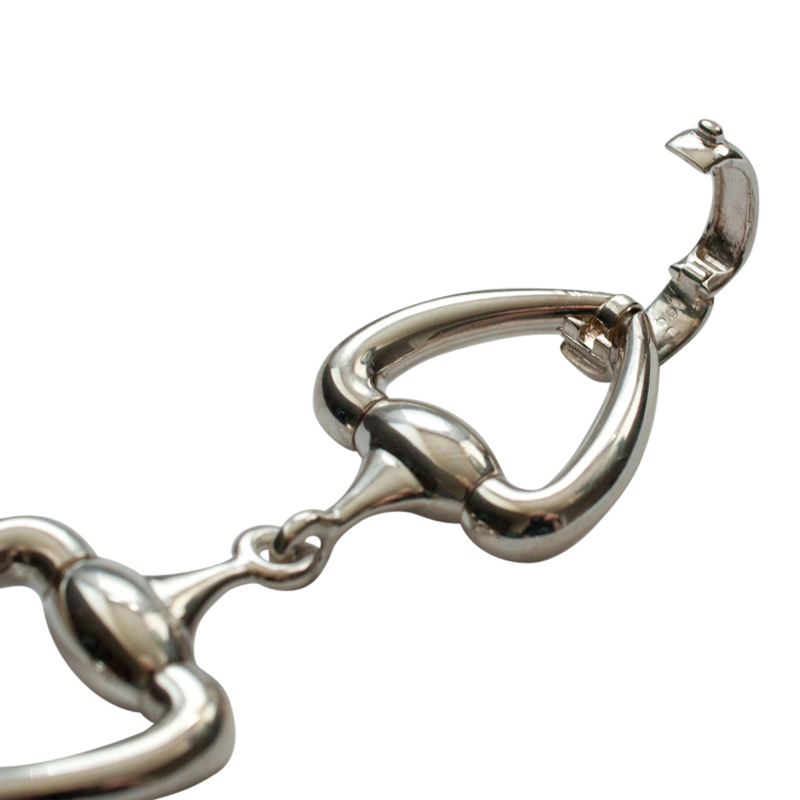 The end link opens to form the clasp and is in good working order. 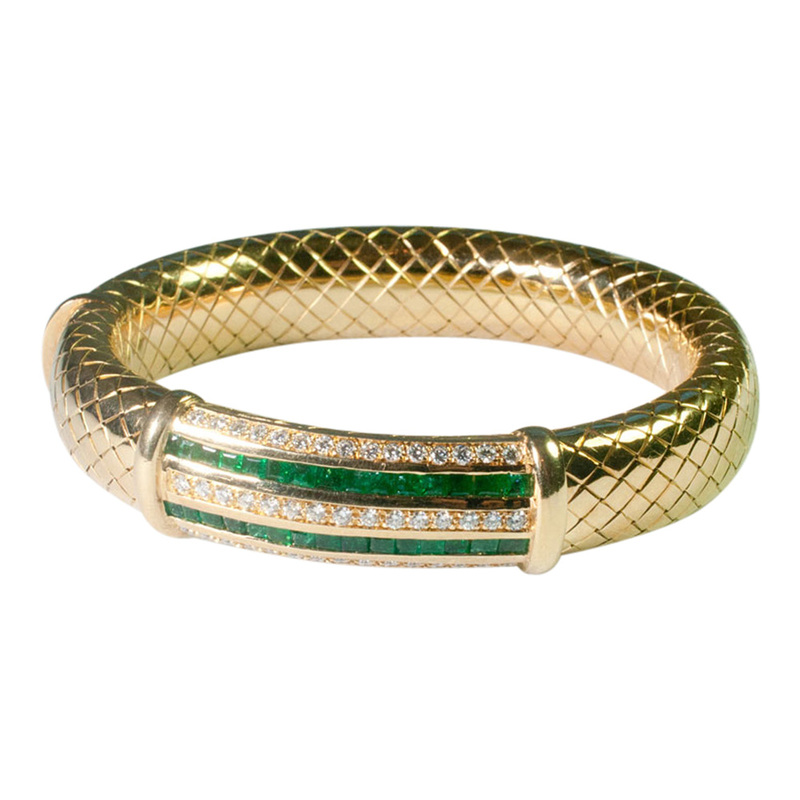 Signed Gucci, Made in Italy, 925 with maker’s mark. 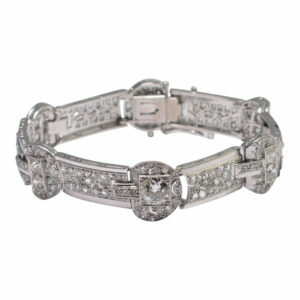 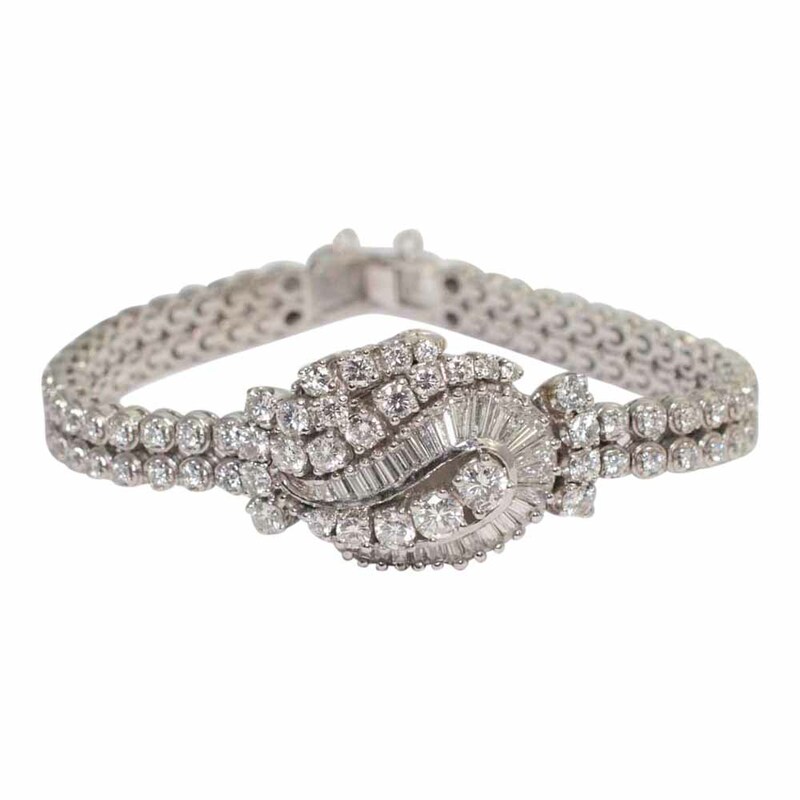 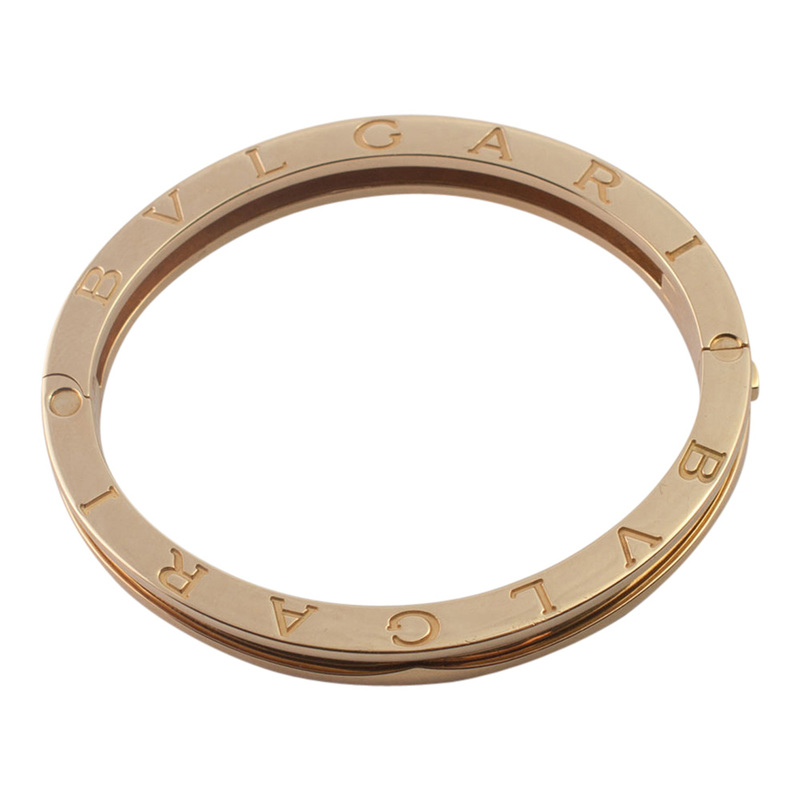 Click below to see a video of this stunning bracelet.